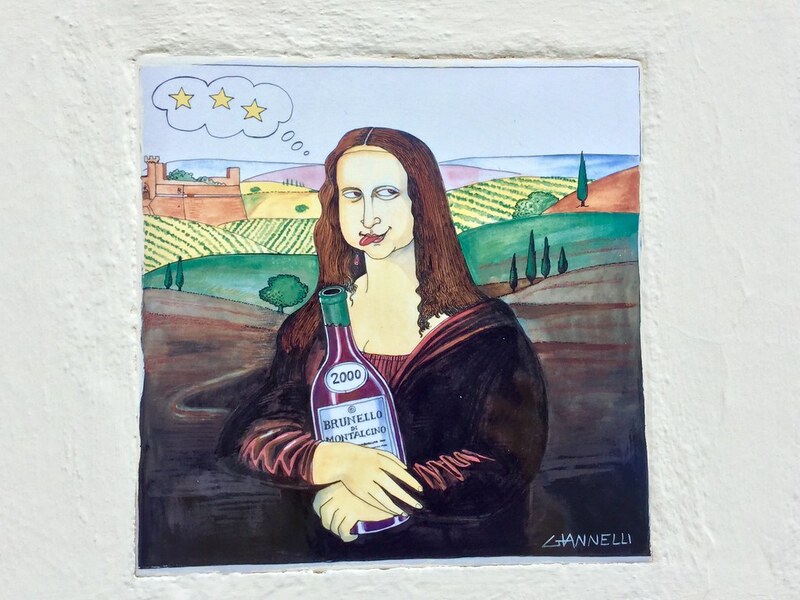 How do they classify Brunello di Montalcino? The declaration of the stars assigned to the latest vintage is announced each February. Starting in 1992 the Consorzio has commissioned a commemorative tile to place on the wall of the town hall in Montalcino. The tiles are created by people from all backgrounds and all parts of the world. 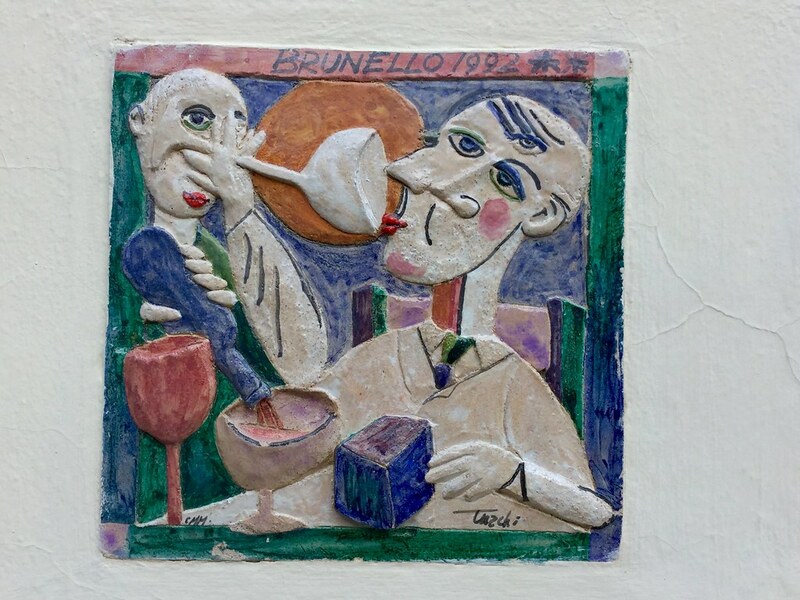 The tiles are hung in February during the ‘Benvenuto Brunello’ event. 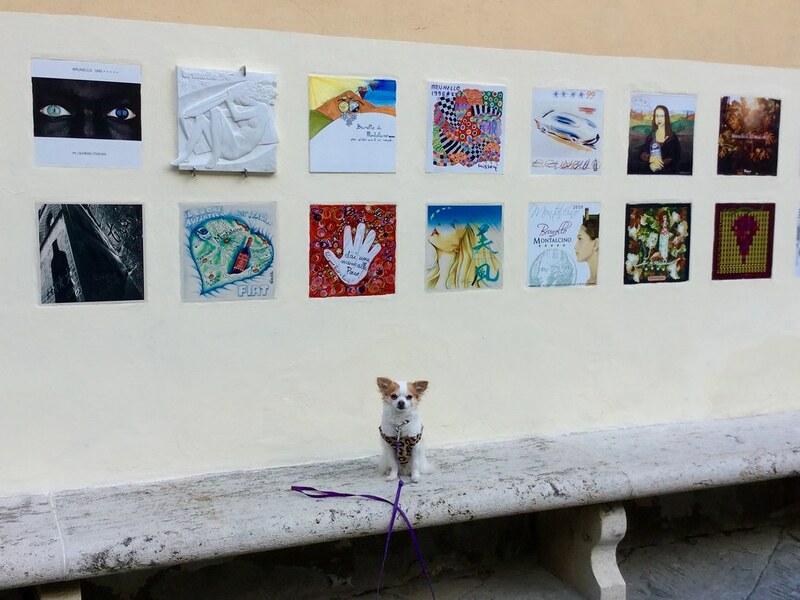 Some of the tiles are shown here with Venus my Chihuahua! Come and be part of the new release event! Let me help you plan your trip now. 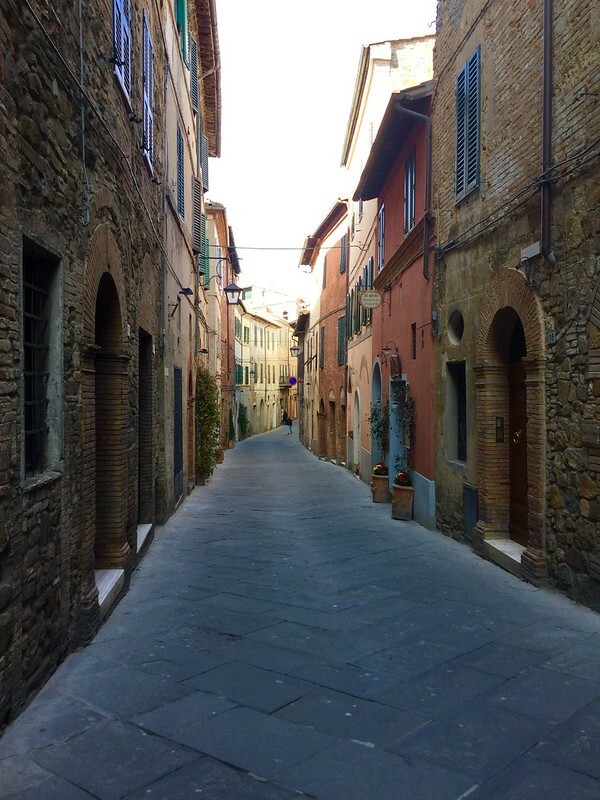 what Italy is like without all the “tourists.” See pics of our adventures. This is a perfect time of year to visit. This photo was taken in Montalcino in early March.